Over $45 million in investments have closed in the past year, including: $1.8 million for plug and play solar provider BBOXX, $11 million for industry pioneer d.light, and$20 million for mobile money pioneer M-KOPA. Not to be left out of a potential $12 billion market, three more new major funding announcements have taken place in the past two weeks alone. On the heels of the announcement from SolarNow, ‘Tower Power‘ pioneer OMC Power announced that it has secured major funding from Singapore-based Energy Investment Tech Pte. 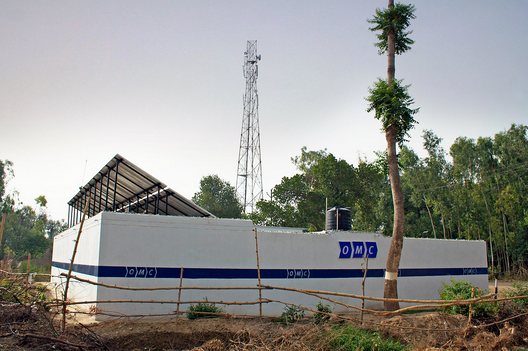 Ltd. OMC Power, one of the companies featured in our video with the Center for American Progress about energy poverty in India, is at the cutting edge of micro-grid development, proving that micro-grids may just be the next big opportunity for beyond the grid markets. The undisclosed amount of new funding from Energy Investment Tech will go toward building 200 micropower plants in the Indian state of Uttar Pradesh, which will provide energy to over three million people in 6,000 villages. The fact that the company’s installations are growing ten-fold is very exciting news and speaks to the high level of demand for clean energy services in India. But it’s not just the private sector that sees the growing beyond the grid solar opportunity and is moving rapidly to invest. Exciting programs like the Overseas Private Investment Corporation’s Africa Clean Energy Finance (ACEF) and USAID’s’Renewable Energy Microfinance & Microenterprise Program (REMMP) and Development Innovation Ventures (DIV) are building an impressive pipeline of beyond the grid solar companies. Add to that the recent European Union grant of €6 million (U.S. $7.63 million) to Mobisol — now the largest rent-to-own solar energy provider in Africa — and you have a handful of innovative programs helping build these markets. But while some public sector actors are waking up to this opportunity, the fact is that leading development banks — like the World Bank — are missing in action. A recent report from Sierra Club and Oil Change International found that the World Bank categorically fails to invest in these dynamic markets. So in some ways it’s two steps forward, one step back. However, as investment continues to flow and services expand, it will be harder and harder for public sector companies to justify their absence. In the meantime, dynamic companies like OMC and SolarNow will be sowing the seeds of a clean energy revolution from the bottom up.